Scott Michael Greene, 46, was arrested and charged first-degree murder for the fatal shootings of two police officers in two different locations 20 minutes apart. A suspect in the fatal "ambush-style attacks" on two police officers in the Des Moines, Iowa, area early Wednesday morning was arrested and charged with two counts of first-degree murder on Thursday. Authorities allege 46-year-old Scott Michael Greene fatally shot Urbandale Police Officer Justin Martin, 24, and Des Moines Police Sgt. Anthony Beminio, 39, early Wednesday inside their patrol cars, 20 minutes apart, setting off an intense manhunt. Sgt. Anthony “Tony” Beminio (L) and Officer Justin Martin (R). Des Moines Police Sgt. Paul Parizek told reporters Wednesday that Greene was walking down a road unarmed in Dallas County when he approached a Department of Natural Resources employee, showed his ID, and told them to call 911. The shootings took place hours earlier in separate locations three miles away from each other while Martin and Beminio were sitting in their respective patrol cars. Parizek said there was nothing either officer could have done to prevent the ambushes. Martin was found following reports of shots fired near 70th and Aurora at 1:06 a.m. local time. Twenty minutes later, Beminio was found shot at the intersection of Merle Hay Road and Sheridan Drive. Parizek told BuzzFeed News no motive had been established yet, adding that Greene "was known to law enforcement" and that the leads investigators had developed on the scene had led them to him being suspected in the shootings. In a press conference Thursday morning, Parizek said that they had located Greene's car, stuck and abandoned off-road in the mud, and that a dog "gifted" by the local Bureau of Alcohol, Tobacco, and Firearms located the rifle police suspect was used by Greene. "Without that dog, no human could have found that gun," Parizek said. Greene, who was secured in handcuffs belonging to Beminio and Martin, remains hospitalized, according to police. "It's a very helpless feeling at times," Parizek said. "These were our friends, our co-workers." "Des Moines is not a big city," he added. "We all know each other. We’re heartbroken. There’s really no words in times like this." @DMPolice squad car in daybreak light. Passenger side door riddled with holes. In an emotional news conference Thursday, Des Moines Police Chief Dana Wingert spoke about how the killings have affected the Des Moines and Urbandale communities. "As the days go on, people are going to try to make reason of why someone would do that," Wingert said, teary-eyed. "I will not be one of them. What happened yesterday was calculated murder of police officers, there's no if, ands, or buts about it." Wingert repeatedly called the killings "cowardly from beginning to end," saying that even after committing the act, the suspect chose to attempt to run instead of owning up to his actions and turning himself in. "I know there are stages of grief, and you can probably guess where I am today," Wingert continued. "But the message is: No one deserved this." 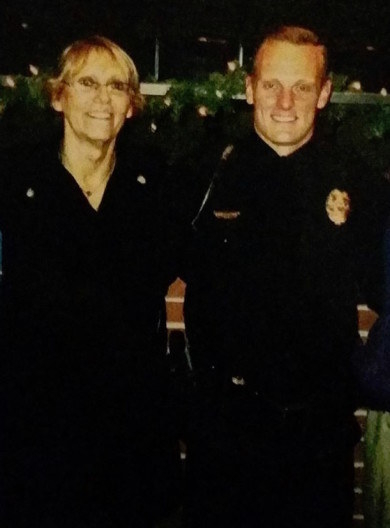 Martin, originally from Rockwell City, Iowa, joined the Urbandale Police Department in December 2015. He was not married and had no children, and is survived by his parents. Beminio had served on the Des Moines Police force since 2005, and was promoted to sergeant last year. He was married and had children. Both officers were alumni of Simpson College in Indianola, Iowa. The administration released a statement after their identities had been released, in which Simpson College President Jay Simmons said, "The loss of any police officer in such a senseless act of violence is a tragedy. This is almost too much to bear." President Obama on Wednesday called the shootings "shameful acts of violence." "Sgt. Anthony Beminio and Officer Justin Martin represented our best, most decent instincts as human beings — to serve our neighbors, to put ourselves in harm's way for someone else," Obama said in a statement. "They knew the dangers of the job. They knew the risks. Yet they chose to dedicate themselves to those values anyway." While a motive had not yet emerged for the shootings, details of Greene's past continued to emerge, including a criminal record and history of confrontation with others. Videos uploaded to YouTube from an account in Greene's name show him arguing with Des Moines police officers after he claimed that he had been assaulted at an Urbandale High School event on Oct. 14. In another video, Greene is seen holding what appears to be an American flag and a Confederate flag in the stands of bleachers. Court records show that Greene had been arrested and charged on April 10, 2014, with a misdemeanor count of interfering with officials acts. The Des Moines Register reported that officers had approached Greene after noticing a pouch on his belt that looked like a holster. Officer Chris Greenfield told the Register that Greene was "noncompliant, hostile, combative and made furtive movements toward his pockets” before the arrest. He pleaded guilty two weeks later and was fined. Two days after that incident, Greene was charged with first-degree harassment when he threatened to kill a man in the parking lot of an apartment complex. According to the Register, Greene was accused of approaching a man, shining a flashlight in his eyes, and telling him “I will kill you” while using a racial slur. This is an especially tragic year for Iowa police officers. In March, two police officers, Susan Farrell and Carlos Puente-Morales, died while transporting a prisoner back to Des Moines after a head-on collision on I-80. All four involved in the crash died. 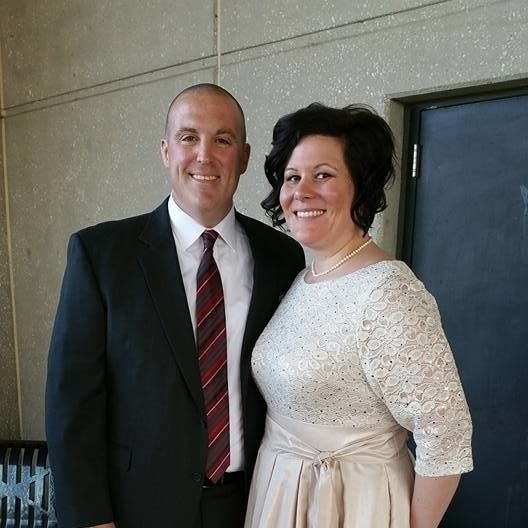 In August, a West Des Moines police officer, Shawn Miller, died in a motorcycle accident. The Des Moines Register reported a car was stopped on a highway and turned in front of Miller's motorcycle, causing him to collide with the vehicle. Iowa Gov. Terry Branstad issued a statement after Wednesday's shootings, calling them "an attack on the public safety of all Iowans."